It is affirming when people recognize you for your work. This week I was nominated for the Sunshine Blogger award. The nomination of the came from https://intentergy.com That made my week! 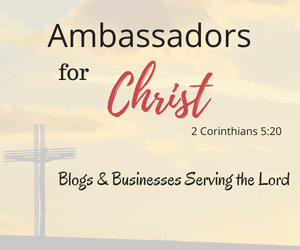 One of my goals for my blog was to be a place where people feel encouraged, and the light of Christ’s love shines through. So to be nominated for the Sunshine award that honors you for bringing light into people’s lives is a terrific affirmation of my intentions. Thank you! (1) What do you love about blogging? What I love about blogging is the impact it is having in the lives of my readers. I started blogging because people would ask me have your written that sermon down or is the bible study in print somewhere? Sadly, the response was, “No, it is all in my head.” After some Godly inspired wrestling I launched this blog in January. (2) What is your favorite song? My dream job was to be a pastor. I have done that and still enjoy sharing God’s word with people. My life is entering a new phase now, and I would have to say that my dream job would be to become an author. That may happen at the beginning of 2017. (4) If you could exchange your life with anyone for one day who would that be and why? I would love to be a baseball player. With one game to play. Game seven of the World Series. I would love to be at the plate with a chance to be the hero or the goat. (5) Your secret romantic fantasy? My dream would be to touring Europe with my wife. We started learning French in preparation for this journey. Now I am dabbling in German. (6) What are your habits that you hate most or want to change them? Worry. I wish I were better about not allowing that emotion to infringe on my ability to experience joy. The simplest things weigh me down. I wish I were better at just letting go. (7) Your most embarrassing thing that happened to you? My favorite color is everything purple. (9) Your motivation in life? To help as many people as possible in their faith walk. (10) Craziest thing you would like to do in life that you were not able to do? Climb a mountain. I did go hiking in the mountains for the first time two years ago. Congrats on the award! Good to learn more about you too. Congratulations, this is a lovely award ! Excellent. Now I have visions of you preaching looking like James Brown in the Blues Brothers. Congratulations. Thank you for sharing God with others. You never know how the word helps others. Thank you Robert. That means a lot coming from a regular reader. Love these because I learn so much about my followers! Great answers! You have a great blog. Lots of good information on it.